Getting ready for the playa? 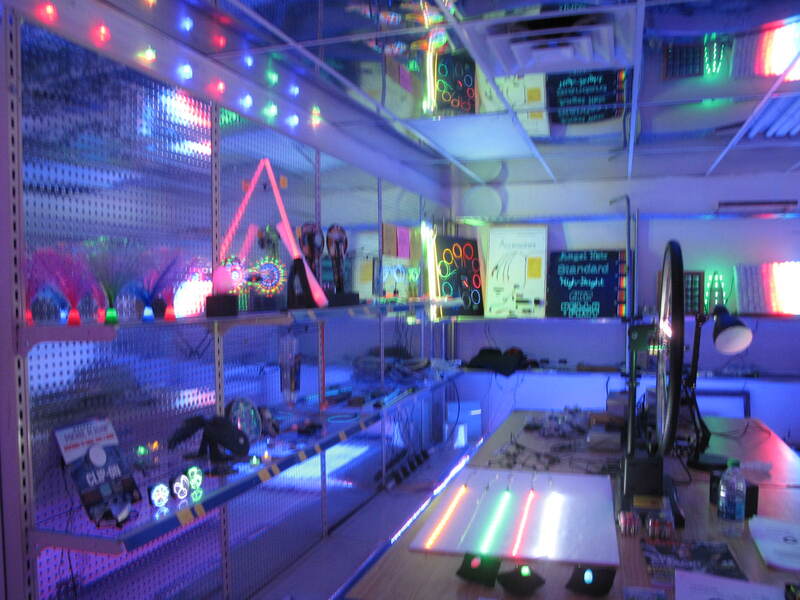 Come to our Friday night soldering partys in August 17 and the 24th insted of closing at 4pm we will stay untill every question is answered, every project is lit, and everybody has thier lights for the Playa. Our annual vacation in the desert starts when the last order is out and we ship ourselves to the playa. All orders placed through midnight, Friday, August 24th will ship before we leave. Most online orders ship the same day! We will be back and dusted off the second week of August. Benny is just back from China, come on in to the shop to see some cool new stuff! 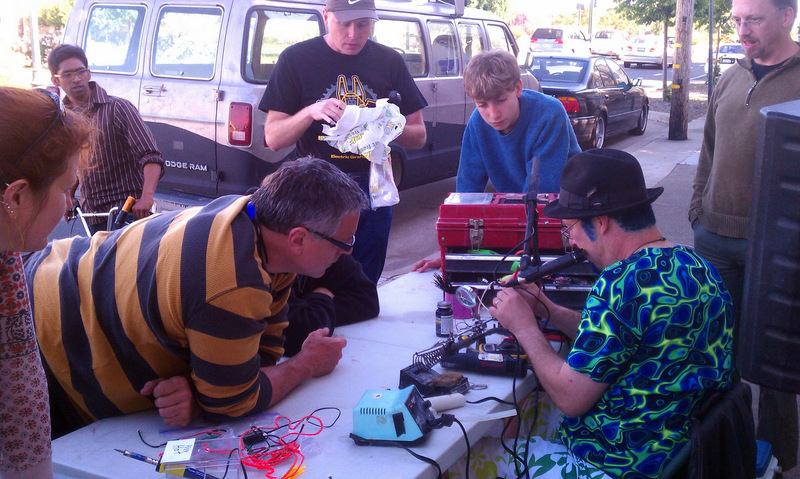 Cool Neon Soldering Party! Come Join Us! and light up your creations! Our annual Cool Neon Soldering Party! They are here again! An Annual tradition since ’99. ALWAYS FREE! Come to our shop in Oakland to learn everything you need to know to get you glowing. Bring your ideas, bikes, vehicles, outfits, questions, patience, kids, friends, and enthusiasm. While you are here you can test ride our Social Revolution – a 2 to 3 person Playa tricycle. AND, see all the new additions to our product line since our shop will be open. In addtion, order pick-up and in-store shopping Tuesday – Friday 11 AM – 4 PM. We are conveniently located near the base of the Bay Bridge in Oakland. Call us, Benny or Gian anytime with questions. We can’t wait to see you and your projects glowing on the playa!